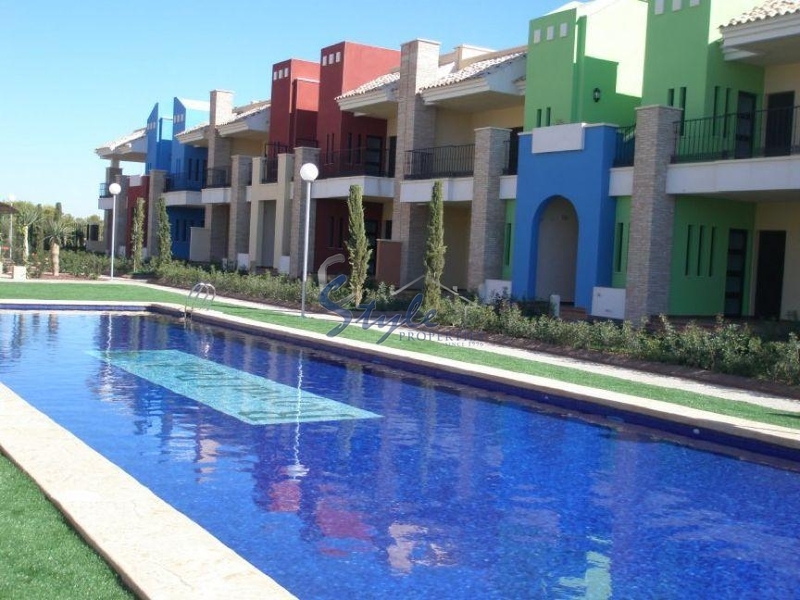 For sale new 3 bed apartments in a luxury residential complex, on the Costa Blanca. To the wonderful sandy beaches of Orihuela Costa is just 3 minutes away by car and 5 min drive from the best Golf Courses. When designing residential complex thoroughly worked over every detail in the decoration of the apartments, and in the planning of the complex. The residential complex has a spa and fitness centre. 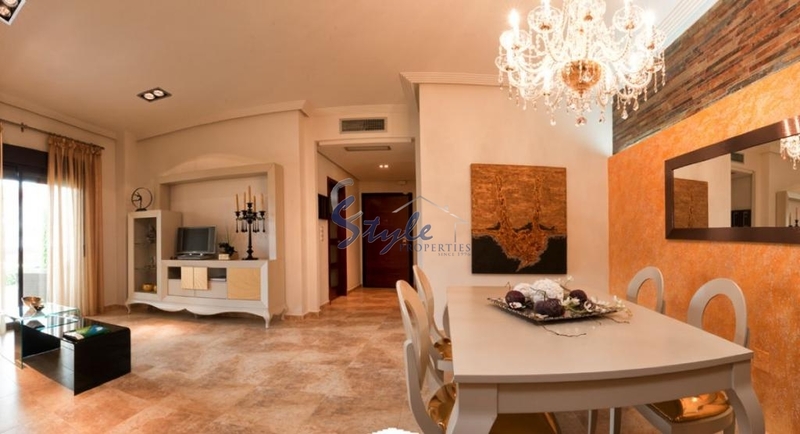 Residents can use the indoor swimming pool with waterfall, a Finnish sauna, a Turkish bath, a Jacuzzi and a gym. 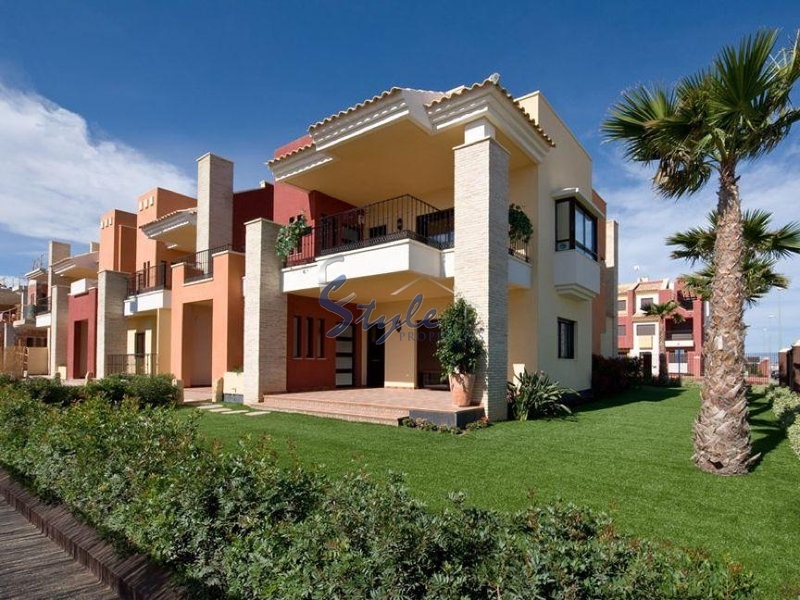 Apartments has ground floor with private garden and top floor with solarium. All properties has pre-installation for air conditioning, and all kitchens and bathrooms are equipped with comfortable furniture.